Here at Ecouterre we love good design that makes a positive impact. So we were delighted when we heard that Architecture for Humanity have launched a campaign with designer Warby Parker to support the fantastic Buy a Pair Give a Pair program. With the designer’s new collection of limited edition frames, the joint program for every pair purchased a second pair will be distributed to someone in need. 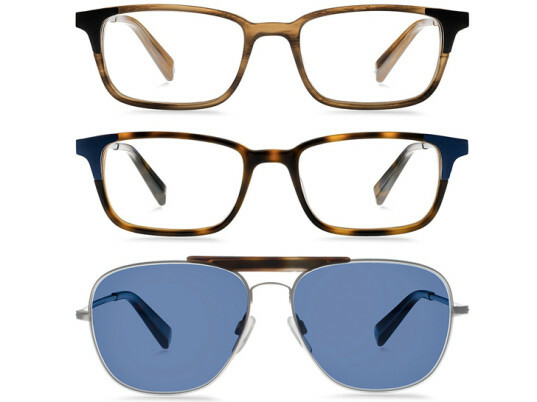 The frames are either regular classic glasses, in different shades of brown, or stylish sunglasses. They are modern designs, dubbed Aslin and Fowler, and take inspiration from innovative and durable design in architecture. To make these effortlessly cool shades, Warby Parker uses premium Japanese titanium with acetate to form a strong pair of frames. After 15 years of partnership between the designer and Architecture for Humanity, the joint venture will see $15 of each purchase donated to the organisation, with a minimum contribution of $15,000. As the sun begins to shine a little brighter investing in a pair of sunglasses with a conscience could be a great way of keep our eyes, and someone else’s, protected this spring. Here at Ecouterre we love good design that makes a positive impact. So we were delighted when we heard that Architecture for Humanity have launched a campaign with designer Warby Parker to support the fantastic Buy a Pair Give a Pair program. With the designer�s new collection of limited edition frames, the joint program for every pair purchased a second pair will be distributed to someone in need. The frames are either regular classic glasses, in different shades of brown, or stylish sunglasses. They are modern designs, dubbed Aslin and Fowler, and take inspiration from innovative and durable design in architecture.